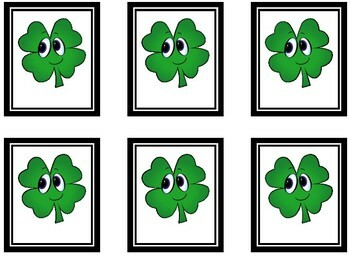 Rainbows and Shamrocks! 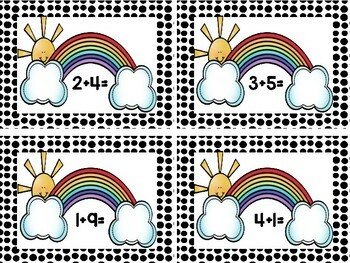 An addition and subtraction center! This neat math center is a hands-on approach to practicing addition and subtraction. 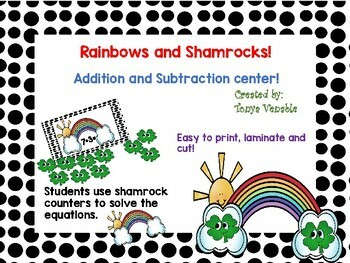 Students will choose a rainbow card, read the equation, and use the shamrock cards to count and solve the equation. 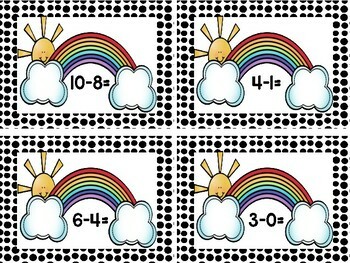 This center can easily be made into a self-checking center, by writing the answer to each equation on the back of the cards before laminating. Enjoy!